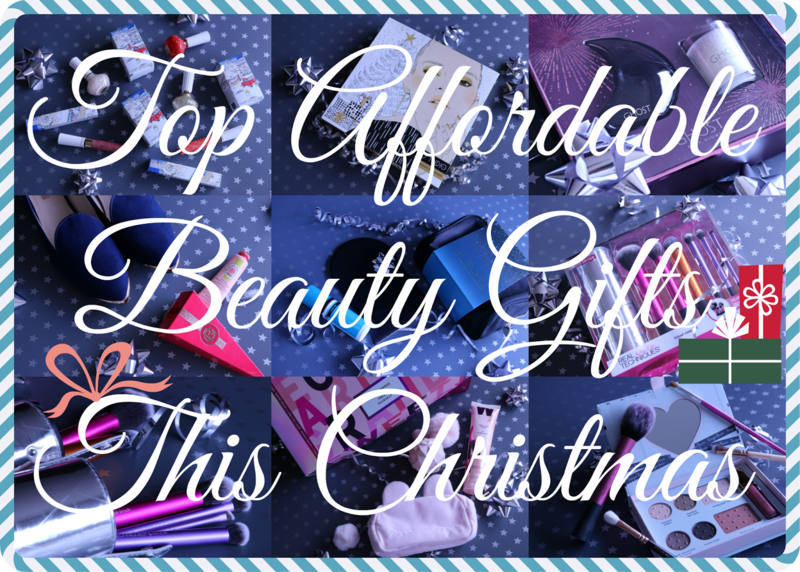 Christmas is fast approaching and if you haven’t got your shopping done already then this gift guide for girls should really help you to find those last minute beauty gifts without breaking the bank. I’m loving the fragrance gift sets that are out this year as many contain complimentry products that are different to the ones that you would usually find in similar gift sets. 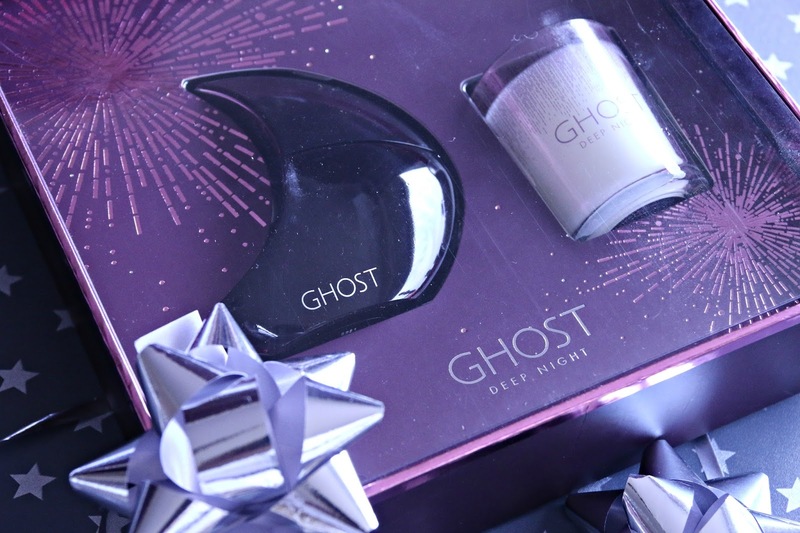 Ghost Fragrances have launched lots of lovely gift sets across their fragrance range and they have some of the best variation of products alongside their perfumes. I featured one of their baubles in my stocking filler gift guide which is a great bargain buy if you’re on a tight budget or looking for something for a Secret Santa present. If you have a little more to spend then I’d recommend the Ghost Deep Night Gift Set which contains a 30ml bottle of perfume and a small candle with the same scent. I love this idea as the Deep Night scent itself is absolutely stunning and I’d love my home to smell like it too. Deep Night has been a scent that I’ve worn since my teens. It is the perfect blend of floral, fruity fragrance that lends itself well to day or night wear and isn’t too grown up for teenagers and equally, it isn’t too young for young women in their twenties. The scent has top notes of cereus and rose, heart notes of apricot, peach and white wood and a base of amber and vanilla which gives it a lot of depth and warmth. It’s definitely a must-wear in my book! For younger girls, my top perfume pick has to be the Treat Yourself gift set from the Ariana Grande Sweet Like Candy range. The pretty pink packaging is so beautiful and that’s before you’ve even opened up the box to reveal the gorgeous 50ml matte pink bottle of the fragrance complete with a baby pink pompom charm on it! This set contains a 100ml bottle of the body souffle of the same scent which is great for layering up the scent and making it last longer and a limited edition cosmetic bag which is in the shape of an animal, with little ears, cute eyelashes and a little pompom on the zipper. It could be used for pens at school, makeup or as a catch all in a handbag. Sweet Like Candy is a fruity fragrance with top notes of blackberry, Italian bergamot and pear, heart notes of jasmine sambac, plumeria and dewy honeysuckle and a base of crème de cassis, marshmallow, cashmere woods and vanilla. The scent isn’t too heavy or sweet and once its dried down it is actually quite light which makes it ideal for wearing to school or college as an everyday perfume. With the countdown to Christmas about to begin, a beauty advent calendar is an ideal gift if you’re exchanging presents early this Christmas. Superdrug have a fabulous selection and what I like about their range in particular is that they have a number of calendars that are only 12 days rather than the 24 or 25 that you find with other calendars. This generally makes them more affordable. The Studio London Beauty Calendar in particular is a great calendar to open in the 12 days leading up to Christmas. It contains 4 glitter nail polishes and 8 none glitters so the person who receives it is bound to find lots of different colours to paint their nails with over the festive season. 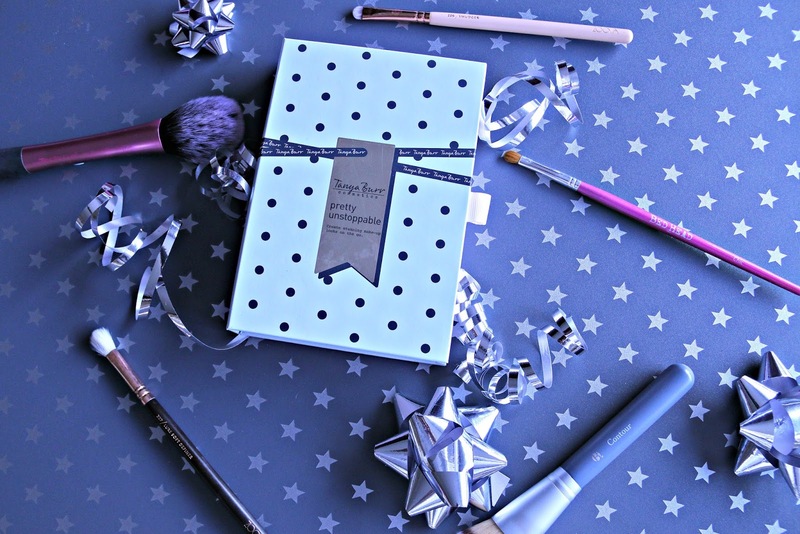 For makeup lovers, the Tanya Burr Pretty Unstoppable Palette is a fabulous choice because not only is it a gorgeous gift set but it is a limited edition release for Christmas 2016, making it even more special. Inside the palette, you’ll find six powder products plus a gorgeous pink Matte Lip Cream. There are four cool toned eye shadows ranging from a pale pink through to varying depths of taupe, plus a beautiful pink blush and a highlight. This palette is a quick and easy way to update any makeup collection for the winter season and the shades are perfect for day or night wear as they’re buildable and different combinations can be used to create softer or more dramatic looks. The packaging is really cute and has a lovely heart shaped mirror in the lid too, making it great for travel and ideal those who have lots of nights away planned over Christmas and New Year. This was my first time trying Tanya Burr cosmetics and I have to say, I’m so impressed by their incredible pigmentation and buttery soft quality, especially for their low, affordable price point. These aren’t just products made for her younger fans, they’re really useful and I’m sure women in their twenties would love them too. One of my favourite brands on the highstreet has to be Real Techniques and if you’re buying for someone who is serious about getting into makeup then I’d highly recommend picking up some of their brushes as a gift for them this Christmas. High quality makeup brushes make the world of difference as to how any makeup applies so they’re really important whether you’re just starting out, a daily wearer or a pro. The great thing about Real Techniques brushes is that they don’t cost the earth, especially when you buy one of their sets from Feel Unique, Superdrug or Boots. They have released some limited edition brush sets this year, including the Real Techniques Travel Case Set above, but they also have brush sets within their permanent line and ones that can be purchased individually too so you’ll always find plenty of options whether you’re shopping at Christmas time or later in the year. The kit that I have is ideal for travelling as it comes with a robust silver storage case that secures and opens with press studs which you can then stand upright in two halves as pots to store your makeup brushes in when travelling. The brushes included are great multi-taskers; theres a foundation, powder and setting brush, a couple of blending brushes for the eyes and a winged liner brush. They’re all superb quality and definitely a gift that would not only be well received but very useful too. For a makeup fan who loves to collect special pieces, I’d highly recommend the limited edition Paul and Joe Marché de Noël 2016 Holiday Collection. Products from this brand run alongside their fashion house and many collections are limited edition, making them highly covetable. With Paul and Joe, you’ll find beautifully designed, charming packaging with a story that inspires every aspect of each product. The new Paul and Joe Christmas Nail Polish range has six colours to choose from. I have Butter Pecan which is a milky cream, Poinsettia which is a beautiful red, just like the Christmas flowers and Twinkle Lights which is an incredible fine gold shimmer. The polishes apply smoothly and evenly, the have a glossy finish to them and last for days without chipping which is ideal when the Christmas period is so jam packed with different events and parties to go to. The Paul and Joe Christmas Lipgloss range is just as beautiful with five gorgeous colours. I have the shades 001 Mulberry Spice which is a shimmer and 004 Very Merry which has the most beautifully glossy finish. These glosses feel comfortable to wear and are long lasting which is ideal for wearing to all of those get togethers in between Christmas and New Year as they still look great even when eating and drinking. Speaking of parties, if you’re looking for a gift for a girl who loves to go on weekends away with their friends then the St Tropez Weekend Getaway Gift Set is absolutely ideal. The set includes a black travel bag with a pretty gold zipper, a tanning mitt and a 50ml bottle of the St Tropez Self Tan Express. The Self Tan Express is perfect because it gives a natural, sun kissed glow in only one hour and it can be left on longer for a deeper result. It is ideal for girls and guys on the go who want to have a flawless tan but don’t have the time for it to develop overnight. The 50ml bottle is more than enough for a full body application, the mitt that’s included helps to ensure that the tan is even and streak free and the wash bag will fit lots of essential toiletries inside when travelling. With so many beautiful beauty gifts out there this Christmas, the choice is bound to be a tough one; I hope my gift guide has made shopping a little easier! What presents are you planning on gifting this Christmas? Which of these beauty gifts is your favourite? I love the idea of a candle made from my favourite scent – that's a genius addition, far better than body cream that I'd just forget to use! That Ghost set looks utterly luxe and lovely! This is an awesome gift guide – I adore Real Techniques brushes so definitely hoping for this set under my tree! These beauty sets make a wonderful gift and I love how fabulous the packaging is! I might ask Santa for one too! Loving the colours in the Paul and Joe range. That would make a super Christmas gift for my daughter! These are lovely gift ideas , I really like the Burr Palette. The Ariana Grande set is so cute and would be perfect for teens! I also love the Real Technique brushes so those would be a welcome addition to my dressing table! Ha! Lovely gift ideas for teenage girls here. Thanks for sharing Laura. The packaging on the Ghost Deep Night fragrance set is so cool! And I'd love that brush set – really need some!